As someone who regularly collects trees (yamadori) for bonsai, I have been shocked at some of the 'yamadori' that has been offered on Ebay recently and the some of the prices paid for these trees. Shocked enough to feel the need to comment about the greed and scamming that some individuals appear to be quite happy to undertake. 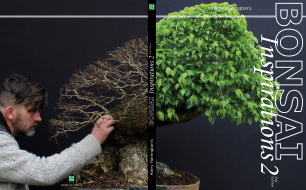 Without doubt, collected material makes excellent bonsai in a relatively short period of time; in many cases a mature trunk is developed and only the branching needs development. Good yamadori is expensive to buy. Potential yamadori need to be found and permission to dig needs to be sought. Collection can take place over a period of one to five years depending on how compact the rootball is. After collection, good quality soil in sufficient quantities must be purchased and the tree nurtured for a number of years before any styling can take place or the tree can be replanted into a bonsai pot. For this reason, the seller will ask a high price for a collected tree that he/she may have invested 3, 5 or even 10 years of work. However, successfully collecting, nurturing and ensuring the survival of a collected tree is an acquired skill and a matter of great patience. Collected trees must be given premium quality care using good quality soil and positioning within hours of collection. After which they must be given a minimum of one to two years free growth to be allowed to recover from collection; in the case of Pines and other evergreens, the time allowed to recover can be as long as 3 to 5 years. The survival of a yamadori is in no way guaranteed, even after the best quality care has been given. Collected trees can and do fail. Has the tree been grown by the owner in a suitable pot and soil mix for at least one year after collection? If it hasn't, are you really willing to buy a tree that may yet fail even with the best of care? If it does, will the seller reimburse your money at a future date or will he/she blame your lack of care for its demise? Is the tree showing any signs of being healthy or at very least, returning to health? Evidence of new extended shoots is a good sign that the yamadori is also growing some new roots. New buds or leaves does not mean the tree will recover; I have seen plenty of thick branches and trunkchops that I have discarded onto the compost heap, actually bud out and even leaf-out using stored energy reserves, even though they aren't even submerged in the soil and cannot root! Avoid any yamadori that is sold as being bare rooted after collection! Bare-rooted trees need to be relatively young and replanted within a very short period of time to survive; older trees or wild trees will not have the ability to recover from bare-rooting for more than 12 hours at most. Avoid any yamadori that is sold without any 'young' growth; that is, growth that has obviously occurred in the past year or two. These will not have been given a recovery period by the seller. Be cautious of buying collected material that has fresh branch/trunk stubs (the wood will be light in colour and fresh, there will be no healing/callusing around the cut). This can be indicative of a freshly collected tree and a lack of a recovery period. Never attempt to style or consider the future styling of a collected tree before it has the necessary branches. New buds or leaves do not indicate the position of future branches. Be aware that until strong new shoots appear at any one point on the trunk, there is always the possibility of dieback. Anyone can rip a few trees out of the ground, put them into a pot and sell them on Ebay whilst claiming to be an expert. Unfortunately with bonsai, the seller can always blame you, the buyer, for a lack of subsequent care when the tree dies at a later date.